Gov. Bill Walker on Wednesday heralded an agreement between Alaska and three Chinese entities to advance the state's $43 billion gas-export project as the most "significant step" in the state's quest to sell its North Slope gas. But the apparently nonbinding deal, signed in Beijing as the U.S. and Chinese leaders watched, raises plenty of questions. And the agreement itself won't be publicly released until next week, leaving lawmakers, analysts and others unsure of its significance. Walker called the deal "unprecedented" in a late-night telephonic briefing with reporters after the signing was witnessed by President Donald Trump and China President Xi Jinping. Under the terms, oil and gas giant Sinopec could buy some of the project's liquefied natural gas, Bank of China would lend money, and China Investment Corp. could invest, said Keith Meyer, Alaska Gasline Development Corp. president, said after the deal-signing. The parties have agreed to work together on marketing, financing and an investment model. But a firm commitment isn't expected until December 2018, Meyer said. The final decision to invest billions of dollars wouldn't happen until early 2019. The agreement apparently allows the Chinese entities to study the project before fully committing, said Mark Myers, a former state official who has worked under four governors on gas line projects, including Walker. Myers said Thursday he needs more details to determine if the deal could lead to a project. The strong, high-level interest is good, he said. And the Chinese entities might be somewhat inclined to sign a final deal, since state-owned entities will accept smaller revenues than private companies, such as the oil companies that backed out of the project last year. "But what all that means and how that translates into actionable next steps is what we don't know," Myers said. LNG energy consultant Scott Shields said that compared to other nonbinding agreements he's seen, this one has a higher chance of becoming a final deal. It's key that China-owned entities are interested in not just buying gas, but taking some potential ownership, he said. "It significantly increases the chance of it happening," he said. Shields acknowledged China may be politically motivated to work cooperatively with Trump. But there's a mutual benefit because Alaska has natural gas to sell, and China gas demand is rapidly growing. "It just makes economic sense," he said, adding that the project's high price might yet be lowered. Hugo Brennan, an analyst with Verisk Maplecroft in Singapore, offered a skeptical reading late Wednesday. He said the agreement allows Trump to "portray himself as a master dealmaker," creating a distraction from "his lack of progress on structural reforms" to the China-US. trade relationship. Pat Galvin needs to see the deal to judge it. "The real question is whether this is a true commercial relationship being established or just a political feel-good exercise," said Galvin, a former state revenue commissioner who worked on a gas line project under Gov. Sarah Palin. Will the U.S. and China approve the deal? AGDC president Meyer said the Chinese government must sign off before a firm commitment is made. But the project has received strong encouragement from both the U.S. and China so far, he said. "I don't expect there to be a significant barrier, but there is a process," he said. The U.S. government also has yet to permit the project and grant an export license. A statement from Alaska's congressional delegation Thursday said they look forward to learning more about the deal, and helping Alaska LNG move forward. Dominic Lee, owner of Little Susitna Construction Co., worked with Sinopec in 2008 in pursuit of an earlier Alaska pipeline project. The Anchorage company, with Sinopec support, applied for an exclusive state pipeline license under the Alaska Gasline Inducement Act. Palin and her administration awarded the license to another company, ending Sinopec's bid at the time. Lee, a naturalized U.S. citizen originally from Hong Kong, said the Chinese government doesn't need Alaska's gas now like it did then. Alaska has many LNG competitors today, he said. Lee said the Chinese government will be cautious before approving a final deal. One concern will be unexpected geopolitical tensions that could arise with the U.S., and potential threats to any Chinese investment and energy supply. "Walker, he might have a 10 percent chance of success," Lee said. Will oil companies sell their gas? Before the project is built, and before natural gas flows in seven years as the state gas line agency hopes, Alaska's three major oil producers must agree to sell it. They'll do so for reasonable terms, they've said. But it could get complicated. ExxonMobil, BP and ConocoPhillips own different stakes in different oil and gas fields on the North Slope, and must come to terms on how that gas will be sold, said Myers. "There's a lot of complication upstream that has to be resolved," Myers said. The state maintains that if a project is built and a buyer is available, the producers are obligated through lease agreements to sell the gas, said Galvin, the former revenue commissioner. ConocoPhillips intends to sell its gas at the wellhead and supports the state's plans, according to a statement Thursday. BP called the agreement an "important expression of confidence" in Alaska resource development. ExxonMobil called it a "positive development that could create opportunities to monetize Alaska's gas resources." "We look forward to better understanding the terms of the agreement and the role envisioned for gas resource owners," said BP's statement, sent by a spokeswoman. Should Alaska hook its economic future to China? The country that's behind the new potential participants in Alaska's gas project has about 20 percent of the world's population, and its natural gas consumption is rising fast. China will account for more than one-fourth of the worldwide growth in natural gas use between 2015 and 2040, according to federal projections. And its LNG imports tripled between 2010 and 2016. Those qualities make the China an ideal potential investor and gas customer. But partnering with China would mean getting into business with a country that the U.S. Department of State, in its most recent human rights report on the country, branded an "authoritarian state" with severe repression and coercion of civil and political rights advocates. How much should that matter? 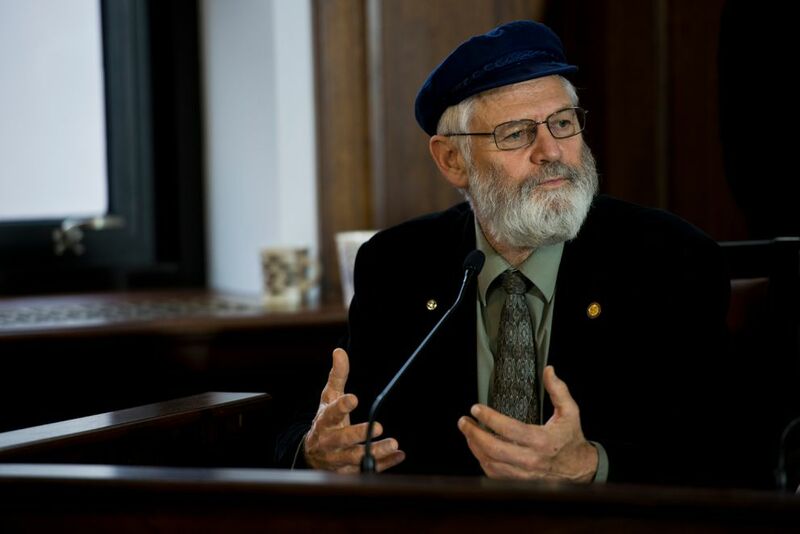 Alaska lawmakers — who, with Walker, set the state gas line agency's budget and policy — had diverging views. Homer Republican Rep. Paul Seaton, co-chair of the House Finance Committee, expressed few concerns. "We're in the business of selling oil and energy, so you have to have a market," he said. "You have to look at dealing with the world the way it is, and you try to improve things as you go." Anchorage Republican Sen. Natasha von Imhof said she would rely on the Committee on Foreign Investment in the United States — a federal interagency entity charged with reviewing potential national security concerns — to assess China's involvement in the LNG project. "With any entity we deal with, we want to make sure that they're honest and that they are forthright," she said. Anchorage Democratic Rep. Les Gara said that Alaskans should determine what "protections" it wants if it goes into business with Chinese entities — like whether it should bar them from making political campaign contributions to Alaska candidates. Gara also said he has reservations about partnering with Sinopec because of the business it did in Sudan amid violence there a decade ago. But Alaska may not have a choice, he added. "The governor, I think he has probably looked at every other potential buyer out there, and it sounds like this is it," Gara said. 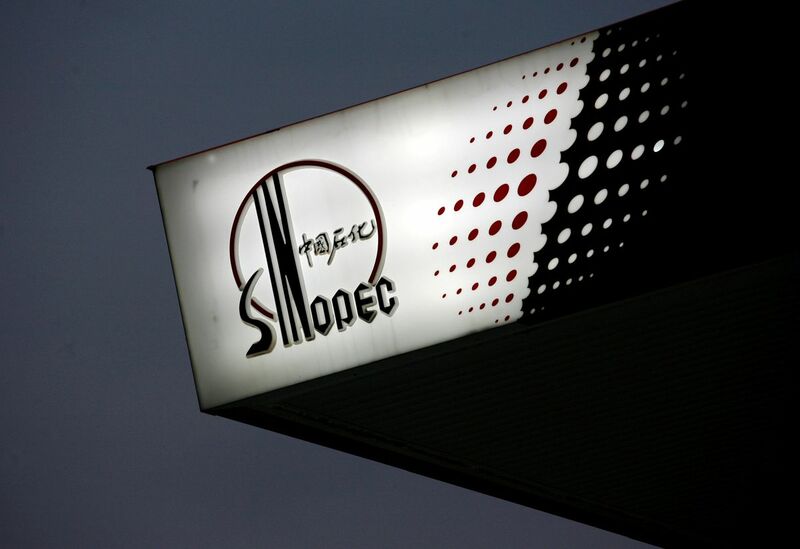 "I would prefer not to have anything to do with Sinopec. But if it's the only way to get our natural gas to market in a way that benefits Alaskans, that's a really important consideration." Does the project have enough money to get to the point where China will invest? This is the $70 million question — the amount that AGDC had left in its budget as of last month, state Sen. Cathy Giessel, R-Anchorage, said at the time. The agency has been spending about $3 million a month since January, according to an executive's testimony before legislative committees in October. But it's likely to need more cash in its budget to finish necessary planning and permitting before it can make a final decision to start construction, said Larry Persily, a former federal pipeline official. Less money spent on the planning phases means more risk of problems and cost overruns once construction starts, Persily added. 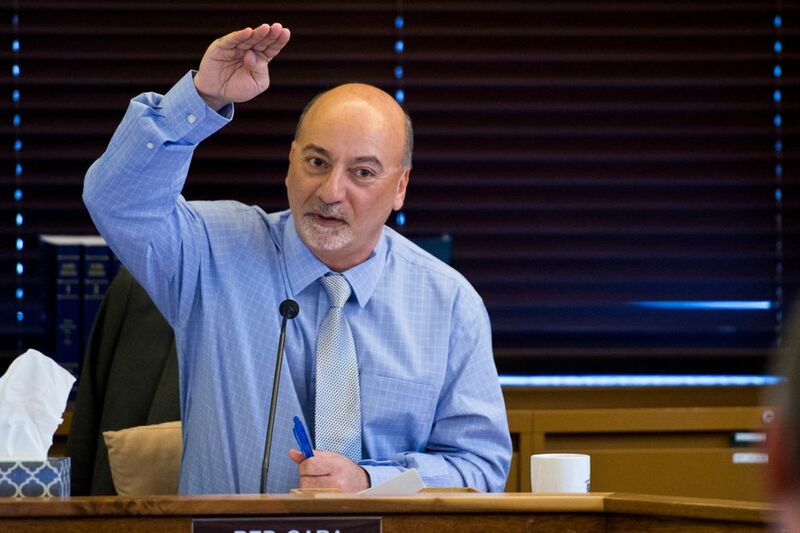 Lawmakers have expressed skepticism about spending more cash on the pipeline project, with the state Senate making an aborted effort earlier this year to strip money from AGDC's budget. Gara, the Anchorage Democratic representative, said early rumors about the deal with the Chinese entities were that they would pay for the remainder of the project's planning and design work. That, he said, would have been a benefit to the cash-strapped state of Alaska. "We don't have the money right now, at least without taking another gut check," he said. Asked if AGDC would need lawmakers to appropriate more money to advance the gas project to the point where the Chinese companies would commit their own cash, an agency spokeswoman, Rosetta Alcantra, wrote in an email that "at this point in time, there has been no determination if additional budgetary resources will be needed."